Hi Lovelies, hope you all had a nice weekend. My weekend was great and I am looking forward to a great week. I hope you are too. 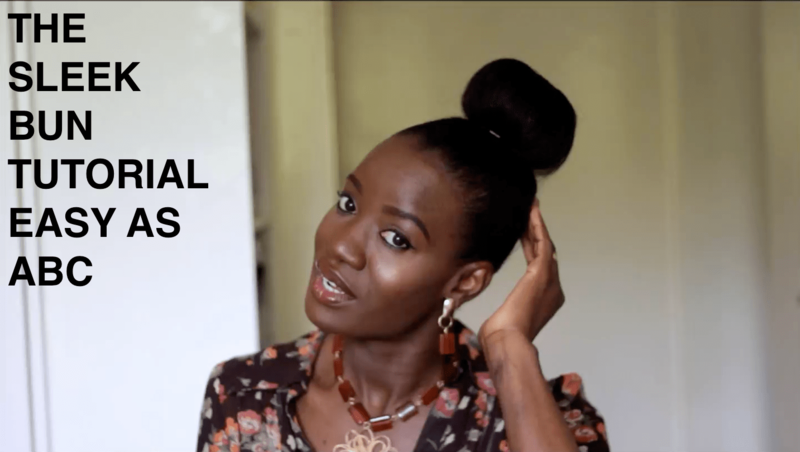 A whole lot of you have been asking me about the hair I wore in my last couple of blogs here and here so I thought to make a quick video to share how I achieve that sleek bun with you. I hope you enjoy watching as much as I enjoyed making the video. Happy Viewing ! I loved watching you in this video!! Thanks Beautiful. You are amazing Dana. Cute tutorial. I used to do a messy top knot when it was really popular but haven’t done it in some time. I did the messy one because I have layers and that look was in as well. Your bun is so sleek. I’d like to try it but I hate using any kind of oily/greasy product in my hair. I only wash my hair every two days so that wold mean I’d have to do the bun two days in a row or until I washed my hair again. I have thin hair so and it gets oily after a few days if I don’t wash it. I can stretch it to three days if I used a dry shampoo. You’re a lucky lady. I understand how easy thin hair can get dirty. I do have medium hair and that is why I wear braids most of the time : makes my life easy. Dry shampoo is a life safer I agree with you. Take care of you and travel safe. Thanks Love. Take care of you. This was a fantastic video! I’ve never thought of using two artificial buns. That is a great idea. I really want to try this. You have a wonderful personality! Have a great week! Lovely video. Thanks for the tips Moji. Thank you for watching Stells. Love to the babies. Cheers.